Holiday decorating doesn't only happen outdoors. In our home, we decorate indoors in the festive spirit, from the windows to the door and everything in between. After all who wants to venture outside in the snowy and cold Canadian winter to look at holiday decorations, when you can stay nice and warm indoors sipping a cup of hot chocolate and enjoying the feeling of the holidays? "At Solutions, our specialty is reflected in our tagline: “Products that make life easier®”. All of our Christmas decorations are as easy as “open the box and hang” so you can be ready to welcome guests in minutes. 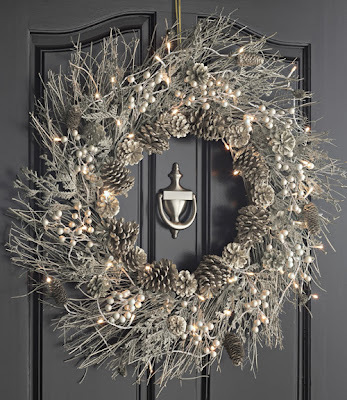 Like our Battery Powered Decorated Wreaths, Garlands, Porch Trees and Swags, this Battery Powered Silver Winter Wreath has energy-smart LEDs and a time that turns them on automatically every evening for 6 hours. 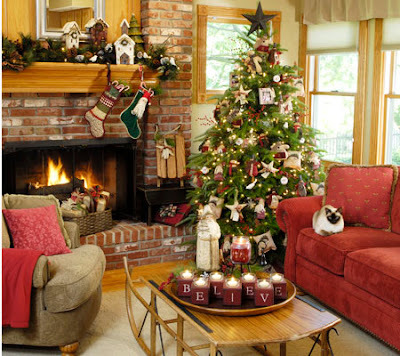 We love battery powered decorations because they can go anywhere—no hunting for an outlet and no cord to trip over." Frosty has his Christmas tree and he's ready for the holidays! 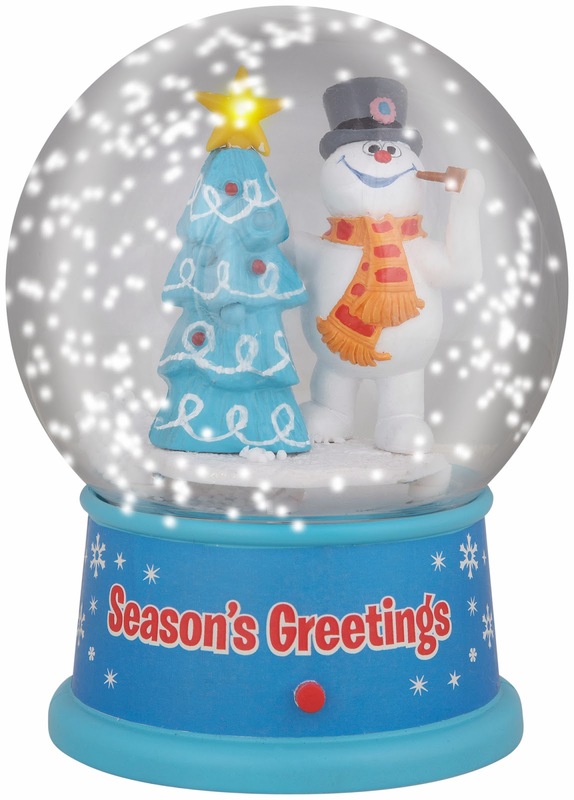 This snow globe is a great way to give any tabletop a touch of Frosty's legendary magic! •Plays a medley of 10 holiday songs plus "Frosty the Snowman"